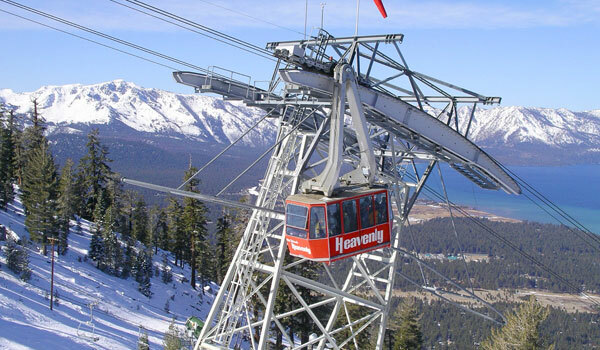 Heavenly is the big resort amongst Tahoe mountains with the most acreage (spanning two states – California and Nevada), the longest run and the biggest vertical drop in the western USA. Follow the sun by skiing on the Nevada side in the morning, moving to the California side in the afternoon. Views of the lake and the high desert are heavenly indeed. Heavenly has four separate bases in two states. 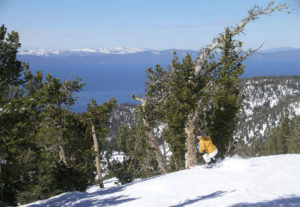 Skiing from the 10,040-foot summit, the sapphire hue of Lake Tahoe is amazing, so are the glades. Vail Resorts purchased Heavenly (from American Skiing Company) in 2002 and has been upgrading the lifts, on mountain lodges, and grooming ever since. Be sure to hit the Gunbarrel Grill for lunch overlooking the water 2,000-feet below. Heavenly has lodging on both the cal and Nevada side, but South Shore is home Heavenly Village with hotel lodging, restaurants and of course, casinos. 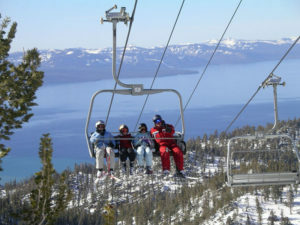 Heavenly is like “vertical Vegas” but its also a great place to base your family for a Lake Tahoe ski trip with lots of lodging choices and a central South Lake location for hitting the other ski resorts.